McALLEN — A decision that would alter U.S. Border Patrol’s current process of separating children from their parents or guardians may come as early as Thursday. The potential order would be limited to those defendants who have no prior criminal history, and receive a time-served sentence before being released from court, and sent back to the detention facility to be processed and deported. On the heels of another planned visit from lawmakers across the nation to the Border Patrol immigration processing center in McAllen, as well as detention centers in Brownsville, U.S. Magistrate Judge Peter E. Ormsby held a hearing Thursday, where he told representatives of the federal government and the Office of the Federal Public Defender that he is considering directing the government not to separate children from defendants who receive time-served sentences before being released. The hearing came about after a federal defense attorney representing a Honduran woman, who was detained after crossing into the country illegally along with her minor child on May 21, was then sent to federal court for her criminal hearing and sentenced to time-served. 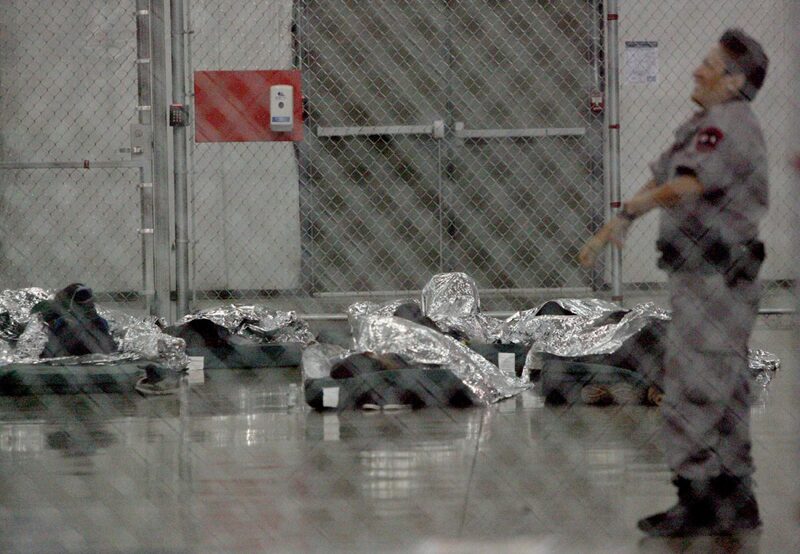 But by the time she was sent back to the immigration detention center, her 16-year-old daughter had been taken to a local detention center for children. That woman — Damaris Margolin Hernandez-Chacon De Figueroa — who has since requested asylum based on a credible threat claim — was sent to a detention center in Washington state pending the outcome of her request. Her daughter, meanwhile, is being housed somewhere in the Rio Grande Valley. “I was under the impression that generally, the defendants in time-served situations were being reunited with family members, at least up until the point they might thereafter request some kind of immigration relief, which then may result in some different determination,” Ormsby said. U.S. Attorney General Jeff Sessions in an April memo compelled government prosecutors to employ a “zero-tolerance” approach to cases involving illegal entry into the U.S. In that memo, released on April 6, Sessions urged prosecutors working along the U.S.-Mexico border to have a zero tolerance policy with regard to these cases — leading to an inundation of illegal entry cases for federal public defenders, who already contend with higher volume cases when compared to the national average. The policy Sessions is pushing for is directed at each U.S. Attorney’s Office along the southwest border. Under the zero tolerance policy, anyone who crosses the border illegally is now referred for criminal prosecution. After the parent is transferred to federal court, the child is then determined to be unaccompanied, requiring Border Patrol to transfer said child to the custody of the Department of Health and Human Services within 72 hours. Kyle Blair Welch, representing the federal public defender’s office, said the court had found the main issue his office has been dealing with regarding the transferring of minor children to the Office of Refugee Resettlement. Welch said after speaking with government officials it’s clear they’re not tracking who is getting separated. Earlier in the week, U.S. Rep. Beto O’Rourke, D-El Paso, met with Border Patrol and U.S. Customs and Border Protection officials at an immigration processing center. O’Rourke, who also met with asylum seekers and other immigrants who were being processed that day, said he could not imagine the trauma that’s being inflicted upon these parents and their children. O’Rourke, who’s challenging incumbent U.S. Sen. Ted Cruz, R-Texas, in November’s general election, said he was prepared to go back to Washington to work on legislation that would put an end to family separations. The El Paso congressman’s visit came after U.S. Sen. Jeff Merkley, D-Oregon, attempted to no avail to gain access to an immigration detention center in Brownsville, a Southwest Key Programs facility that previously served as a Walmart on Padre Island Highway. 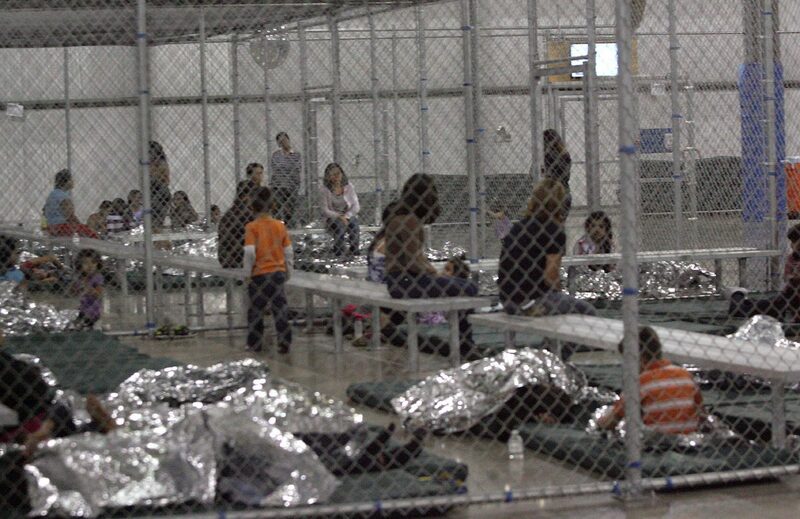 After being denied access, Merkley was soon asked to leave by officials at the facility. James H. Sturgis, on behalf of the government asked for a formal order from the court. “Is there a way that the government could get a proposed order that the court is considering so that we could research it, and brief it, and get back to the court on that — just so that there’s a clearer understanding,” Sturgis said. Ormsby challenged the government to come up with a legal basis as to why he shouldn’t direct the government in these specific cases. “Pretty often the court will require the government to make sure that someone gets their wallet back, and how much more significant is a person’s child or family member,” Ormsby said, noting that he’s seeking the government’s input. Ormsby reiterated the limited scope of his orders or direction would pertain to those with time-served sentences, and not those facing other criminal offenses or with a prior criminal history, and would not direct the government after the defendant was no longer under the court’s jurisdiction. Representatives for the government and federal public defender’s office are expected to meet with Ormsby Thursday afternoon, when he could make a decision on the order.